Our Kodiak award winning Act V vet, Dr. Vickie, has a golden of her own who befriends the injured animals passing through their lives. 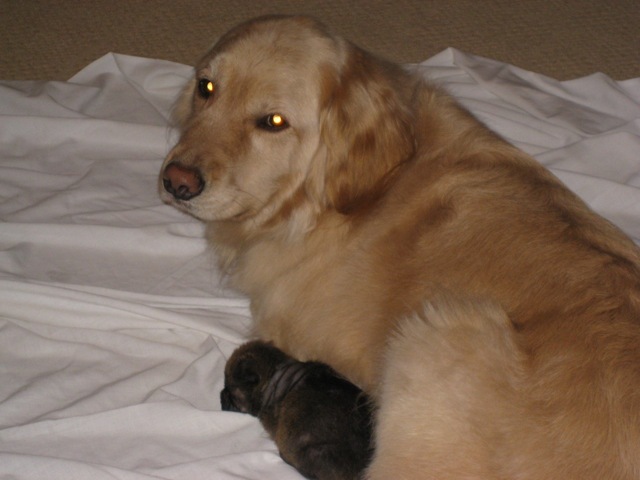 I found this picture of my golden with a 1 week old pup from Red Lake. We named him Warren. 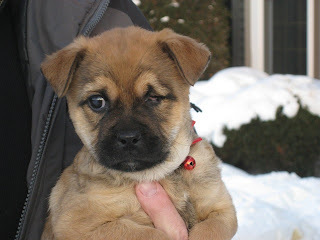 He lost his left eye at about 3 weeks old. One of my clients now owns him. Nice pup.